Build something brilliant with Out of the Box. The possibilities are endless! 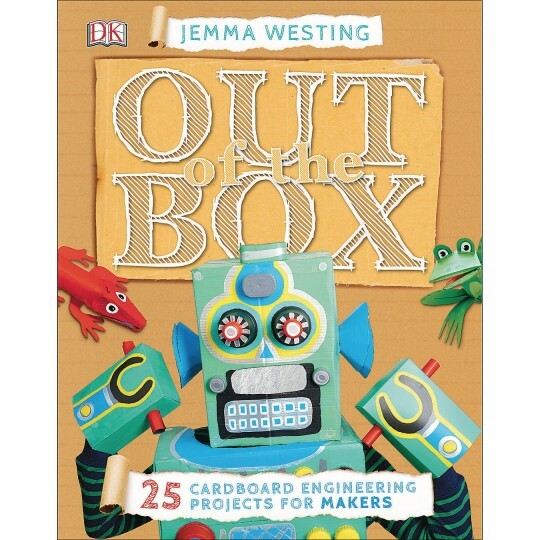 Twenty-five interactive cardboard model projects that engage kids’ creativity and “out of the box” thinking skills through hands-on learning and the application of science-based principles. 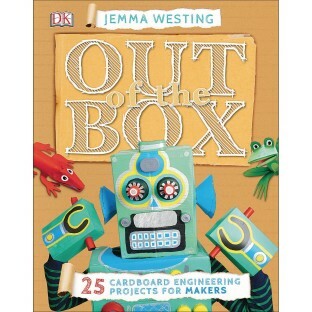 Kids can bring old cardboard to life and build recycled creations they can play with, sit in, and wear. Supporting STEM education initiatives and the Maker Movement, Out of the Box includes 25 interactive cardboard model projects to inspire kids’ creativity through engaged and hands-on learning, and, as the founder of Maker Faire Dale Dougherty says, “to realize with their hands what they can imagine in their minds.” From small-scale gifts to large constructions, author and award-winning paper engineer Jemma Westing uses clear, step-by-step instructions to show kids how to make dinosaurs, masks, race cars, and so much more. Inspirational images encourage them to make their own unique models when they are feeling more confident. The projects utilize only recycled materials, including cardboard rolls and boxes, so all the supplies should be easy to find right at home. 144 pages.